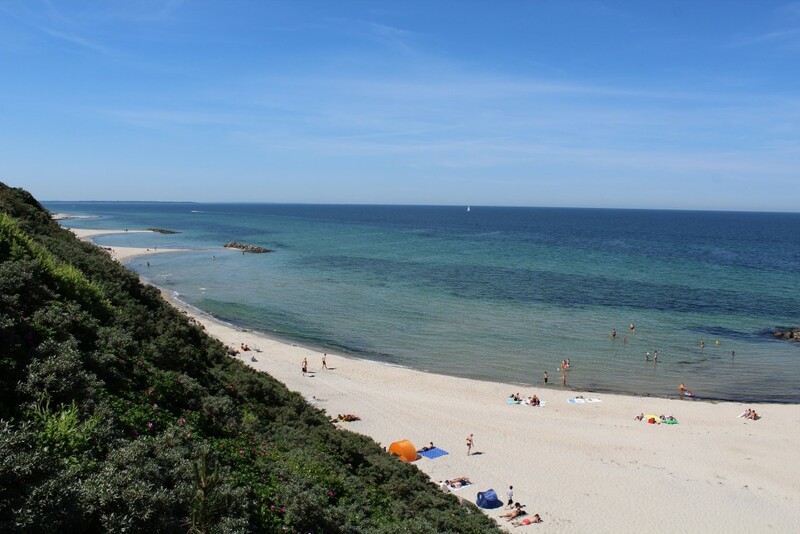 Sommer – den 2. juni 2018 ved Hyllingebjerg og Liseleje strande på den 19´ meteorologisk sommerdag med mere end 25 grader varmt – dansk rekord siden 1889. Click on the photos and use your zoom control and you see them in full screen size and text on right side of photo will disappear. 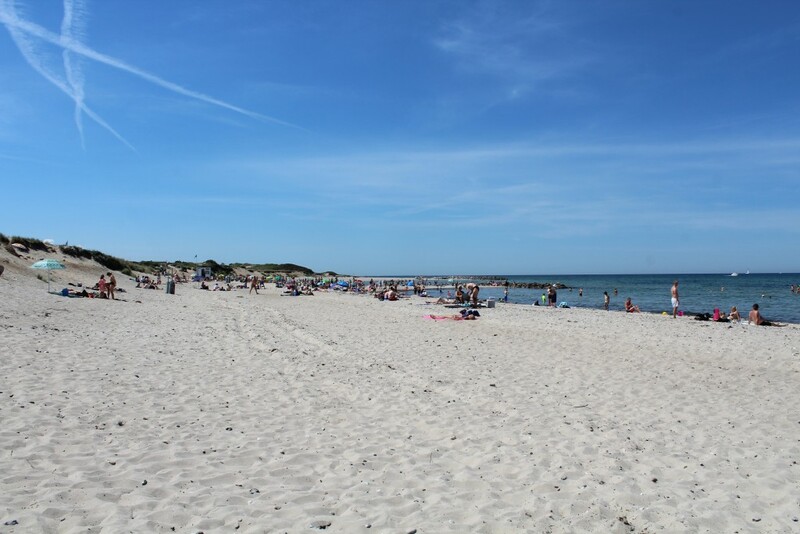 Liseleje Beach in North Sealand, Denmark. View to two breakwaters and Kattegat Sea. Photo in direction north/west 2. june 2018 at 1.45 pm by Erik K Abrahamsen. 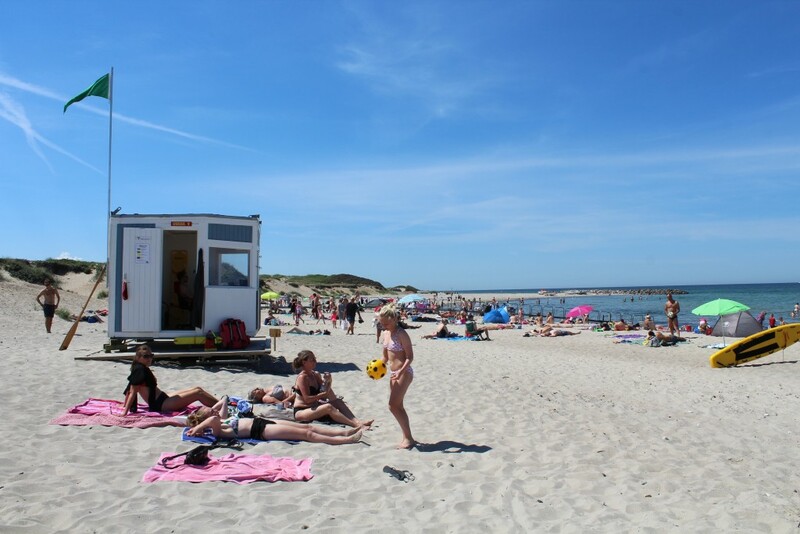 Spring began early this year in Denmark with high temperatures all over the country – more than 25 degrees on the 18. april 2018. And excellent weather with sunshine and temperature more than 20 degrees continued the rest of april and throughout all spring. The 31 may 2018 we had the 16 meteorological “hot summer days” with more than 25 degrees – a national record since 1889. 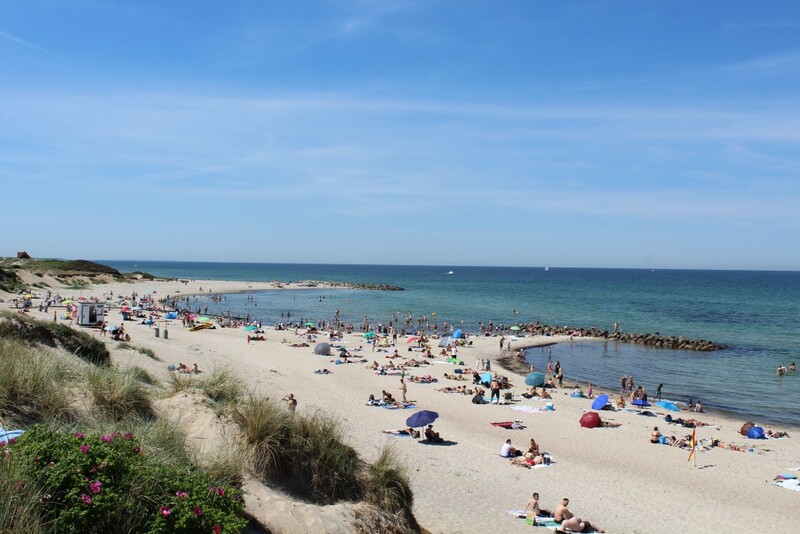 All 31 days of may had 363 hours of sunshine, average 15 degrees celcius – more than 1 degree more than the last record in 1889 and with only 18 mm rain. 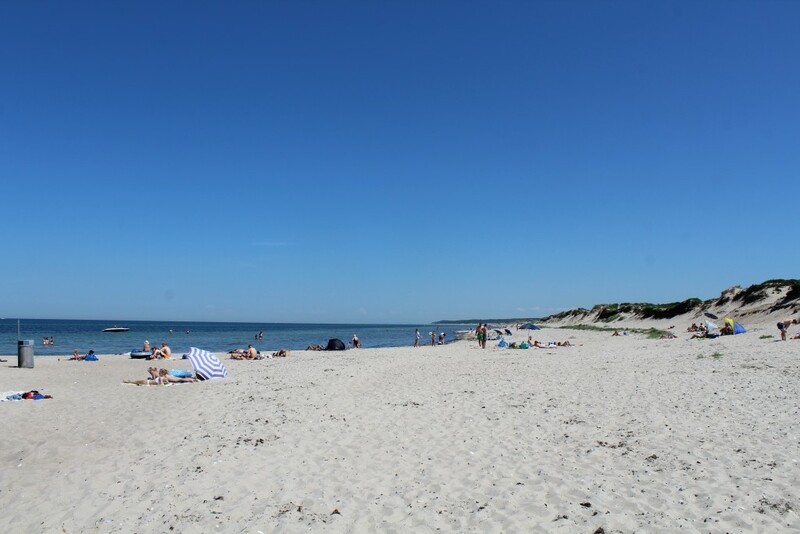 And the excellent weather with sunshine from sunrise to sunset with 20 degrees continued into the first summer month of June 2018. 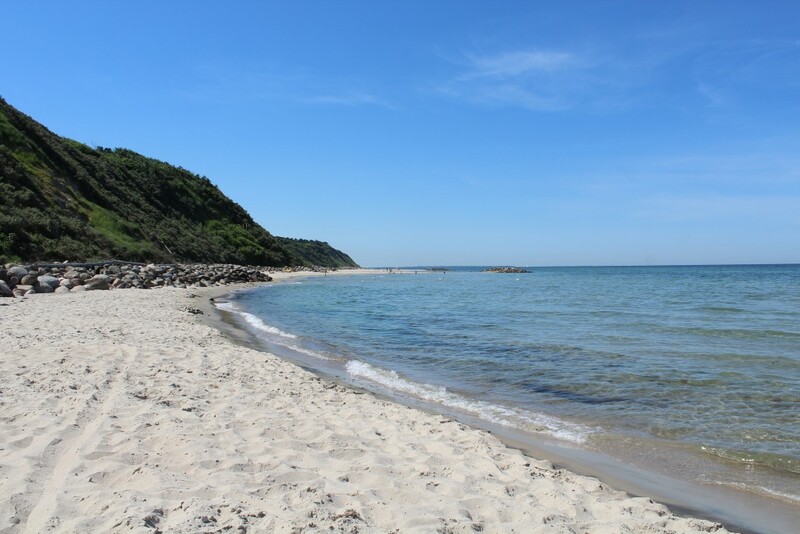 Today saturday 2. june 2018 I visit two beaches to swim: Hyllingebjerg Beach and Liseleje Beach at the coast of Kattegat Sea in North Sealand, Denmark. Click on the photos and use your zoom control and you see them in full screen size. 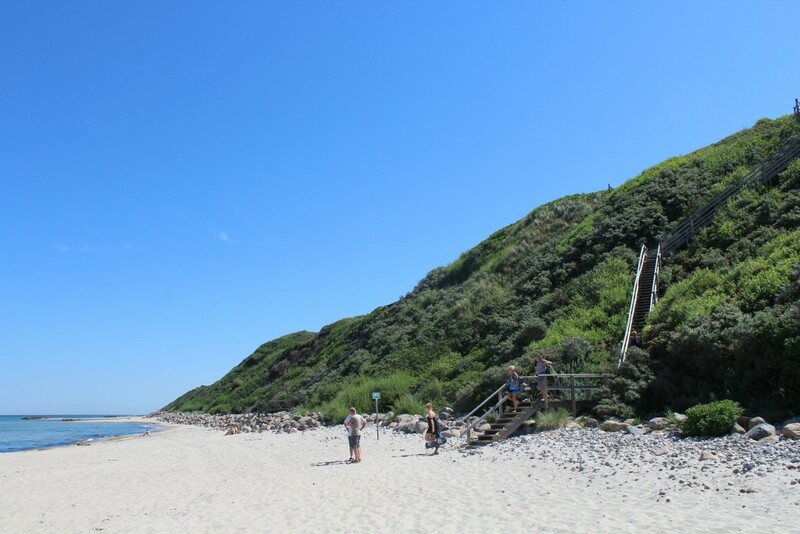 Hyllingebjerg – a 30 m high clift at Kattegat Sea. 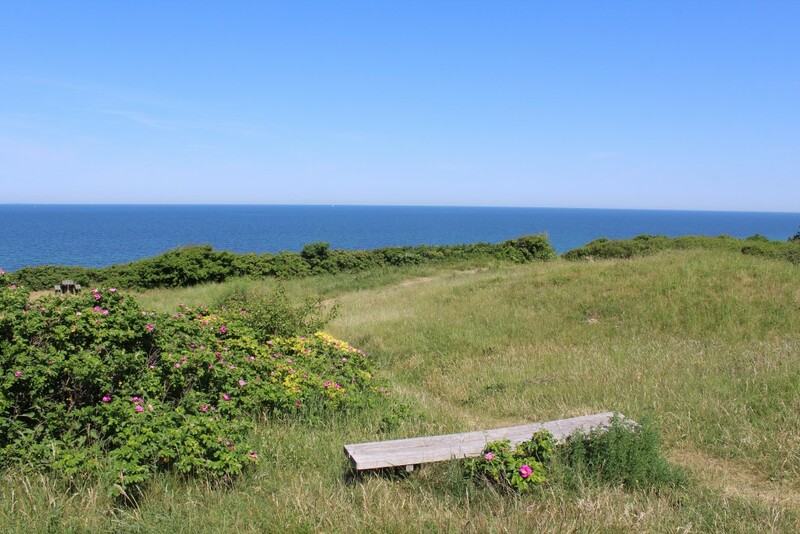 View in direction north to Kattegat Sea and island Hesselø in horizon (at left on photo). Photo 2 june 2018 11.45 am by Erik K Abrahamsen. 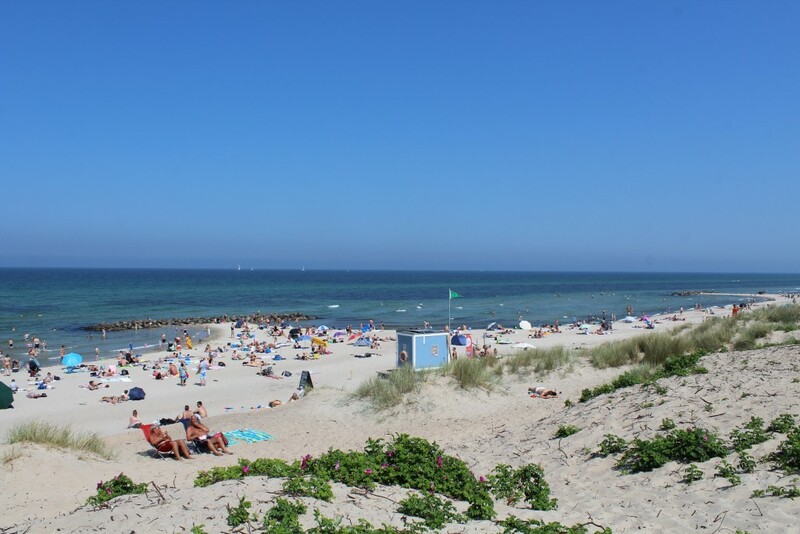 Hyllingebjerg Beach. 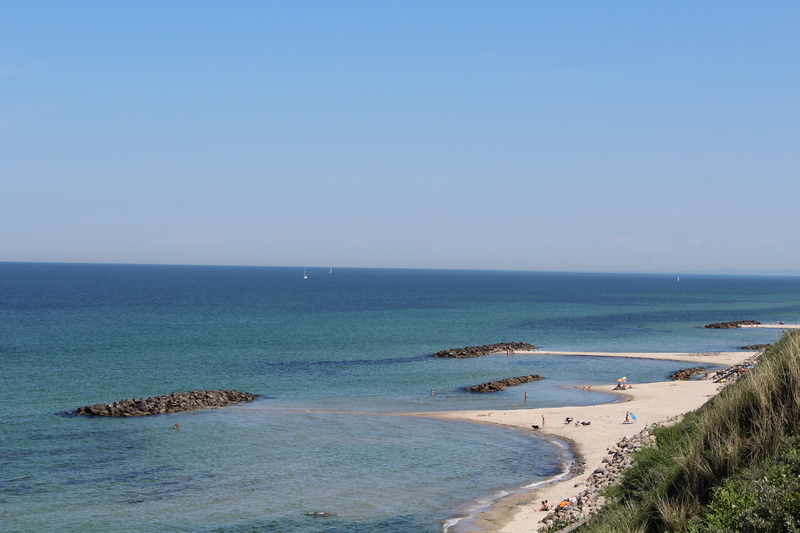 View from top of 30 m high cliff to Hyllingebjerg Brach, breakwater of big granite stones, Kattegat Sea and island Hesselø in horizon (in middle of photo). Photo in direction north 2. june 2018 at 11.45 am by Erik K Abrahamsen. 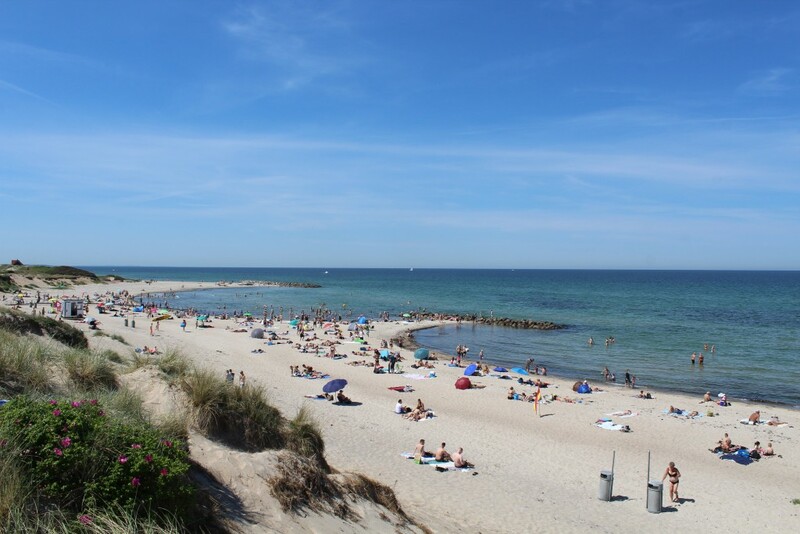 Hyllingebjerg Beach. 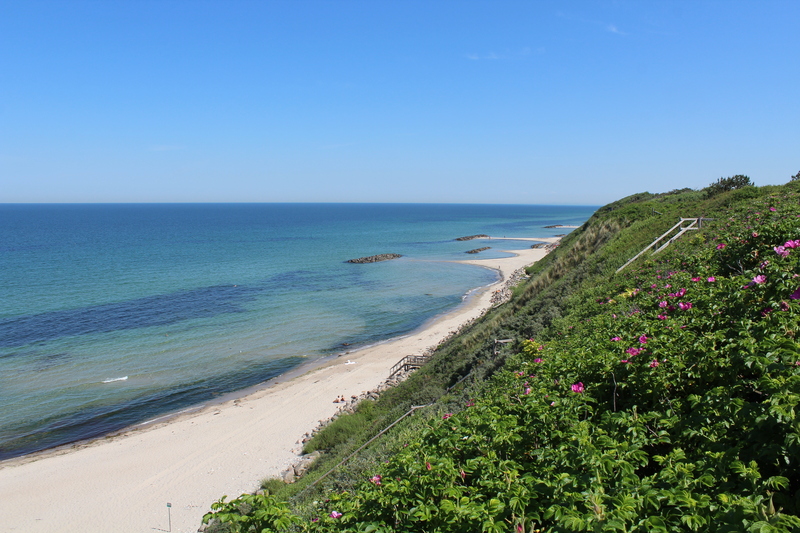 View from top of Hyllingebjerg Cliff to public stairway (104 steps) from top to beach, Kattegat Sea and Kullen cliffs in Sweden. Photo in direction east 2. june 2018 at 11.45 am by Erik K Abrahamsen. 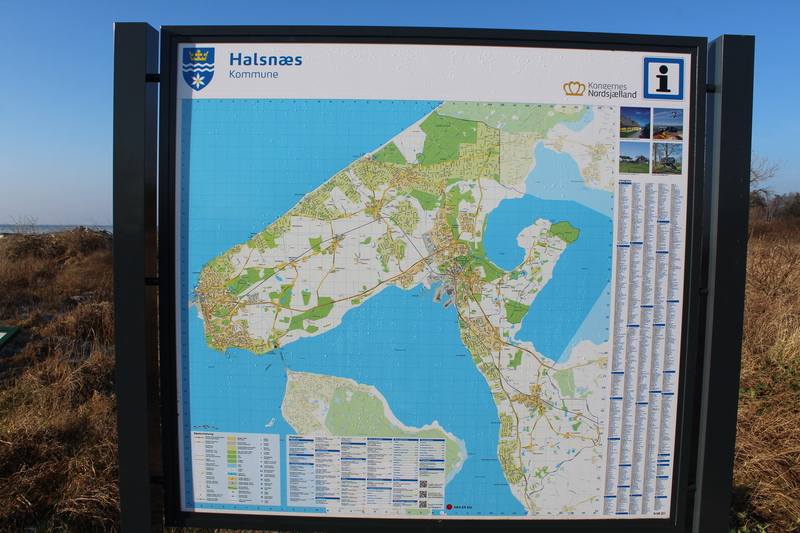 Hyllingebjerg. View til public stairway from top of cliff to beach with 104 steps. 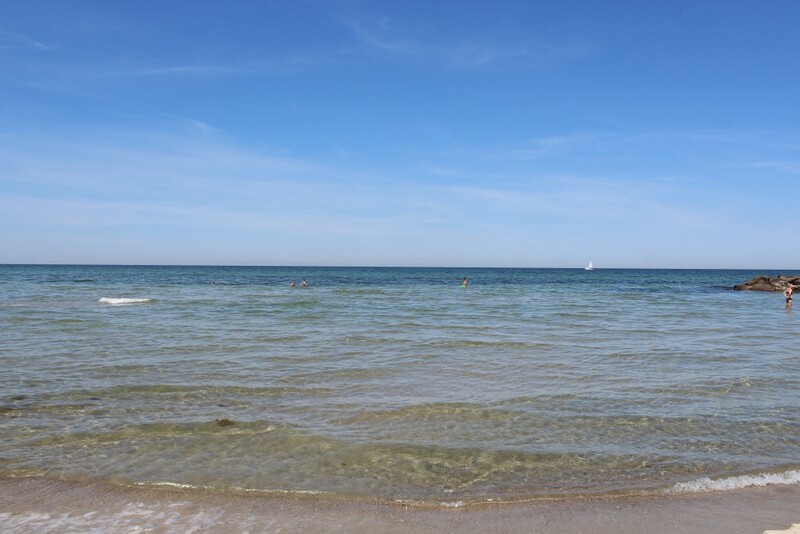 Photo in direction east to Kattegat Sea 2. june 2018 at 11.50 am. by Erik K Abrahamsen. 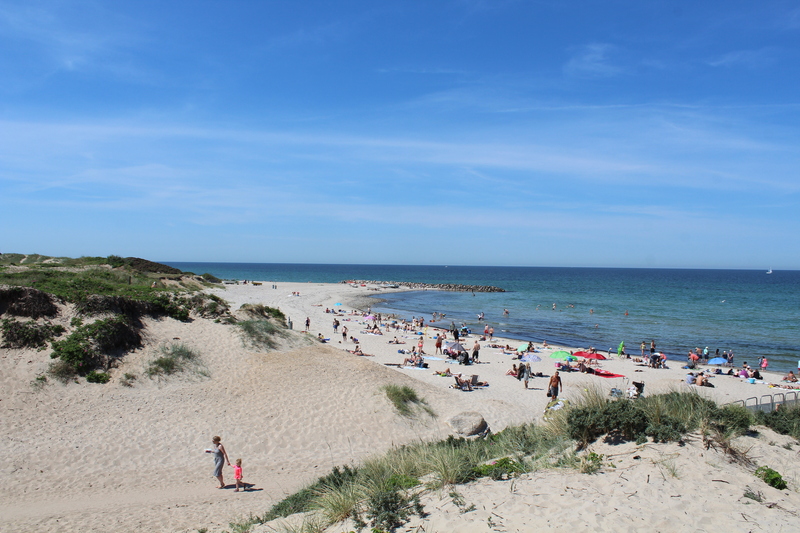 Hyllingebjerg Beach. 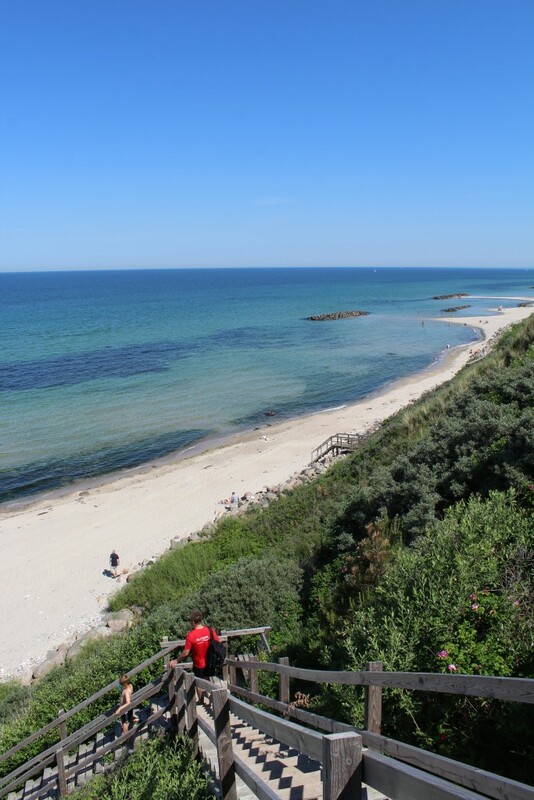 View to public stairway from top of 30 m high Hyllingebjerg Cliff. Photo in direction east 2. june 2018 by Erik K Abrahamsen. 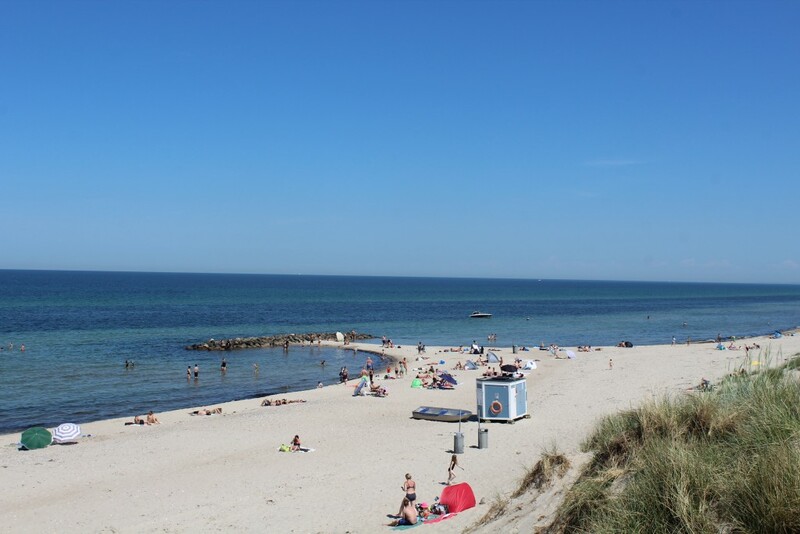 Hyllingebjerg Beach. View in direction west to breakwaters and Sjælland Odde in horizon. Photo 2. june 2018 12.15 pm by Erik K Abrahamsen. The water is clear, 19 degrees temperature and excellent for play and swim. 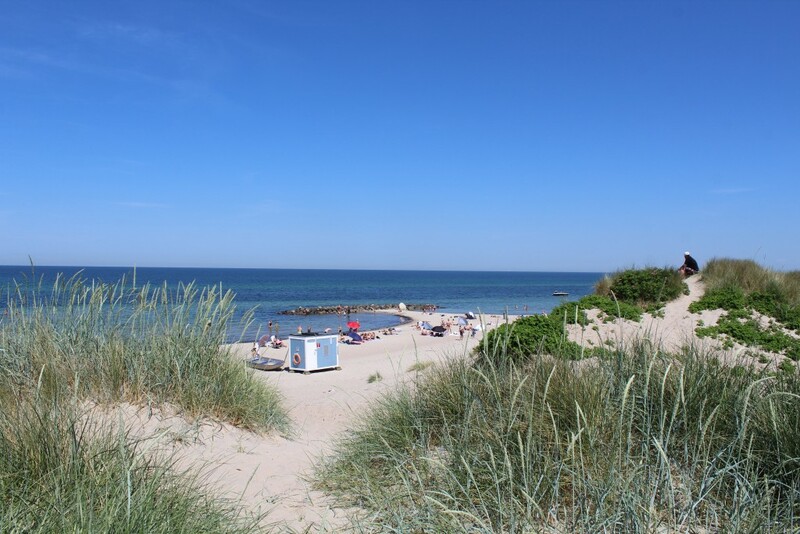 From Hyllingebjerg Beach I drive 2 km in direction east to Liseleje Beach. All wild roses have been cut away to protect the biodiversity in the dunes along the coastline between Liseleje Beach and Stængehus Beach in Tisvilde Hegn. Liseleje Beach. View in direction east to Tisvilde Hegn and Tisvildeleje in horizon. Photo 2. jun 2018 at 1.45 pm by Erik K Abrahamsen. Liseleje Beach. 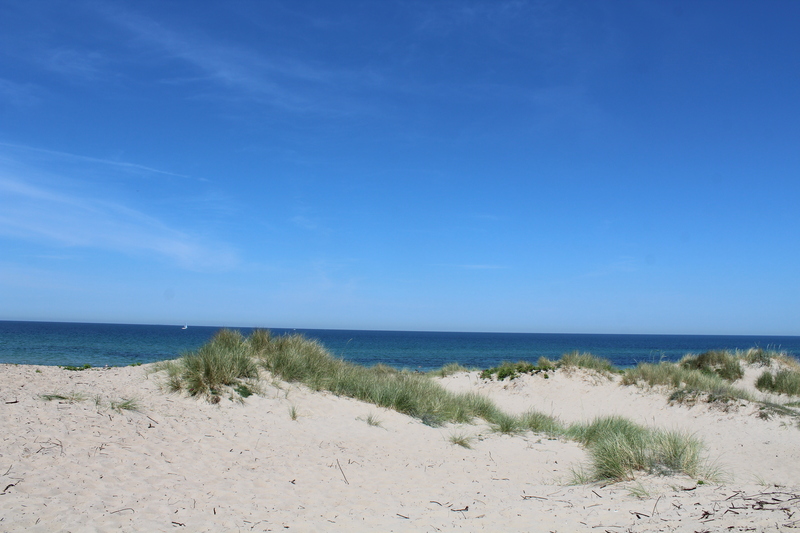 View in direction north to Kattegat Sea. Photo 2. june 2018 by Erik K Abrahamsen. Storage yard “Pynten” to fishing boats behind breakwater of big granite stones at Kattegat Sea at left and back of photo. 100 meter from “Pynten” is “Icehouse” (museum) for storage of fish built 1901. 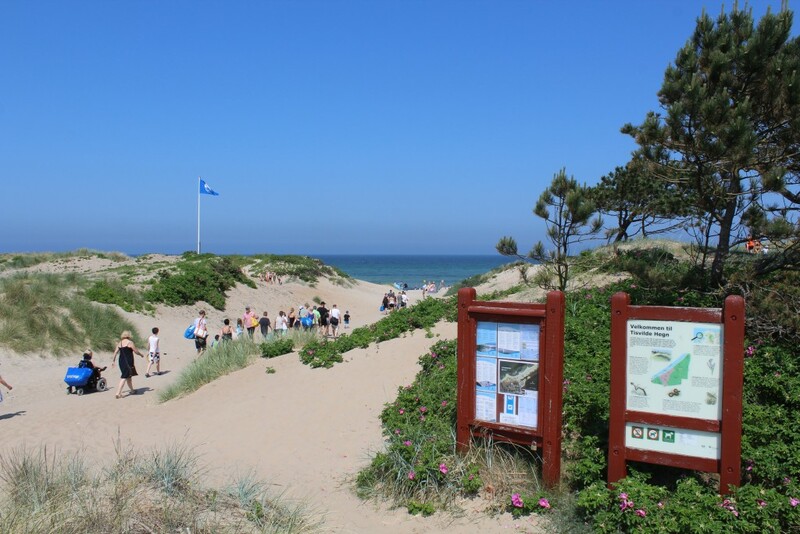 Liseleje Beach. View in direction west to 2 breakwaters.Photo 2. june 2018 by Erik K Abrahamsen. 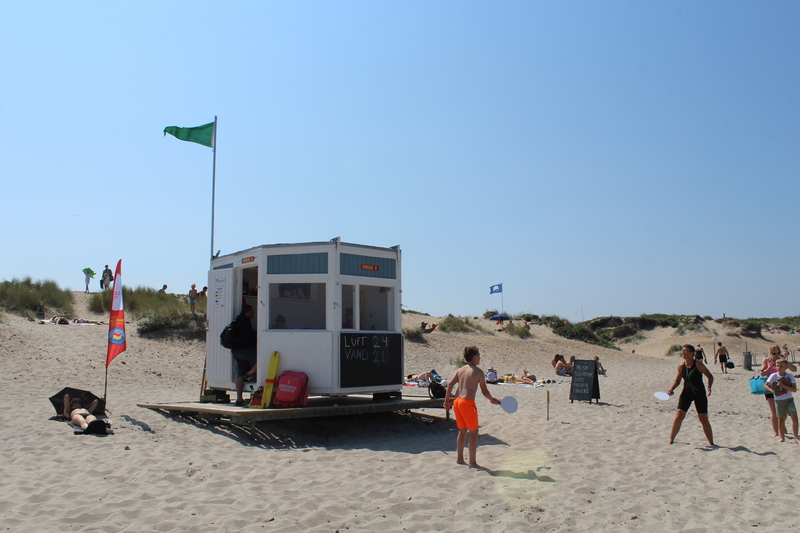 Liseleje Beach with life guards. Photo in direction west to storage yard “Pynten” behind breakwater at Kattegat Sea. Photo 2. june 2018 by Erik K Abrahamsen. I hope you have enjoyed my little trip to my two favorite beaches – some of the most beautiful beaches of North Sealand! Today- saterday the 2. june 2018 – the temperature in Denmark has rised to the highest in this year : 29,8 degrees! 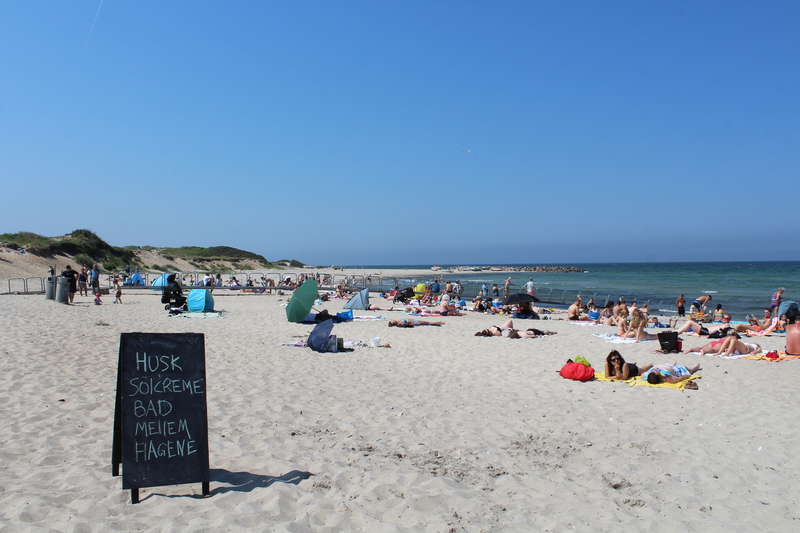 I am back on Liseleje Beach at noon. 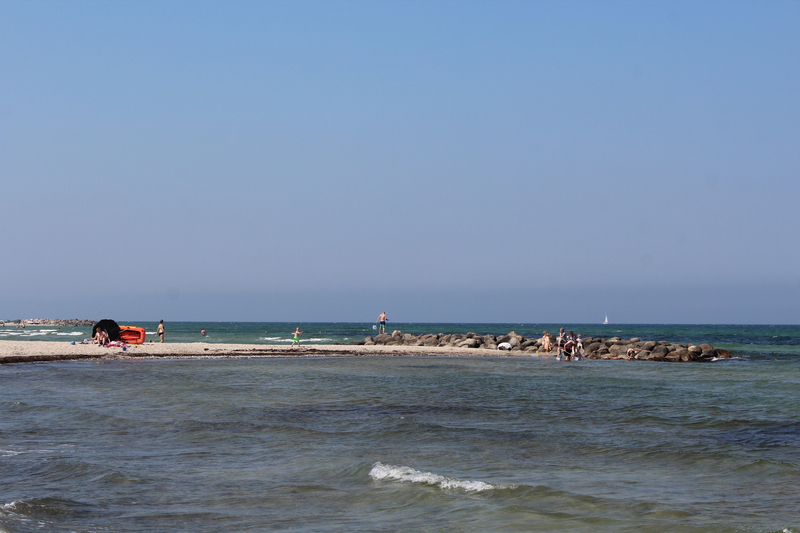 Liseleje beach has a handicap bridge from the shore into the water. 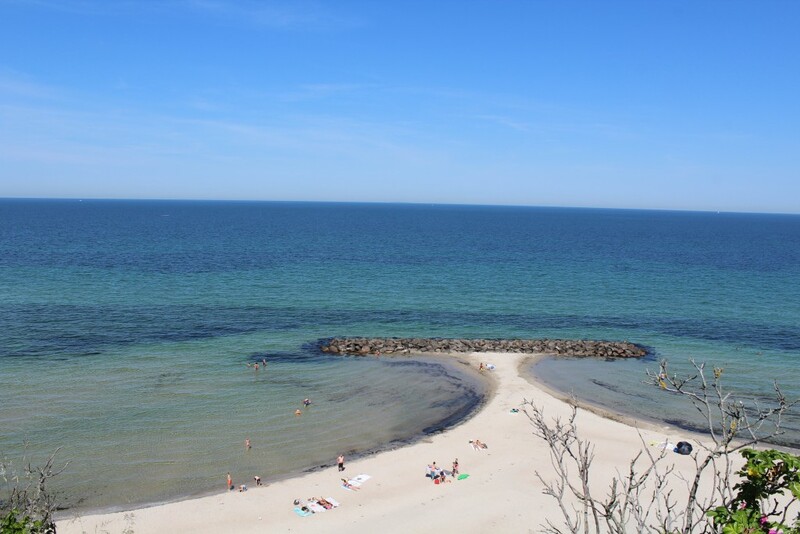 Liseleje Beach. Road through the dunes to beach. Photo 3. june 2018 at noon by Erik K Abrahamsen. View in direction west to breakwater “Pynten” built 1911 by big granite stones. 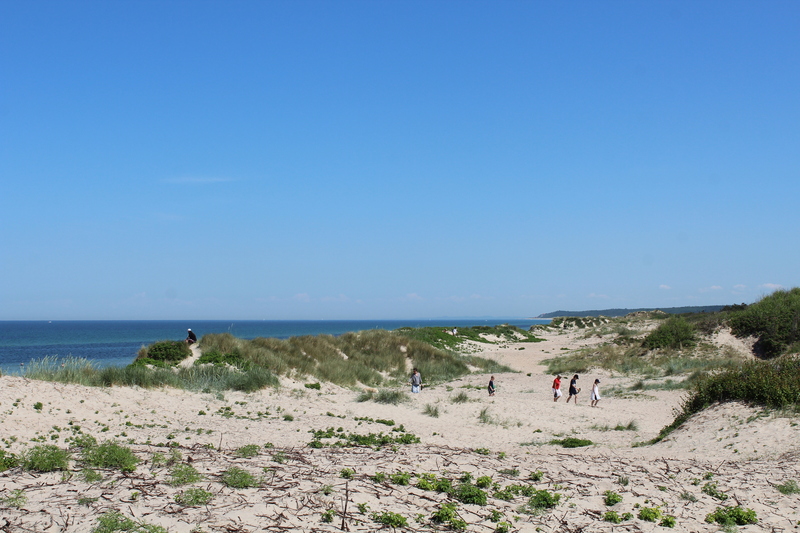 Liseleje Beach. View to handicap bridge and in background breakwater “Pynten”. Photo in direction west 3. june 2018 by Erik K Abrahamsen. 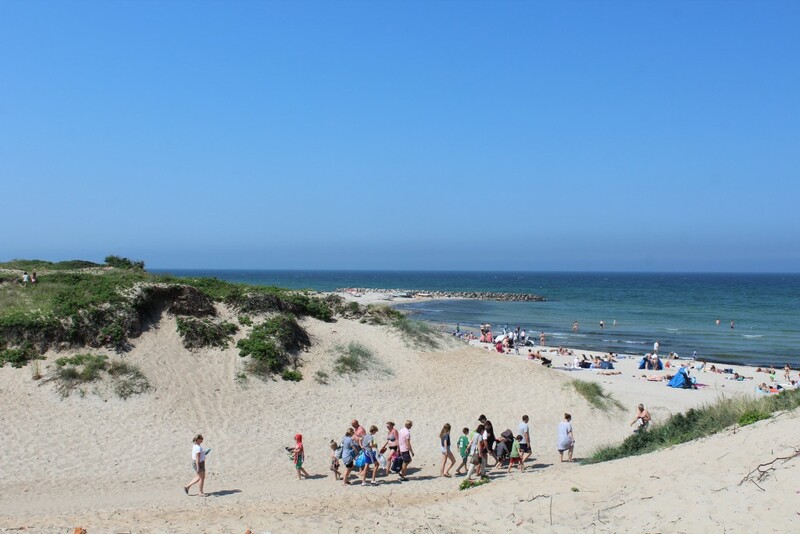 Play and fun on Liseleje Beach. Photo sunday 3. june 2018 by Erik K Abrahamsen. 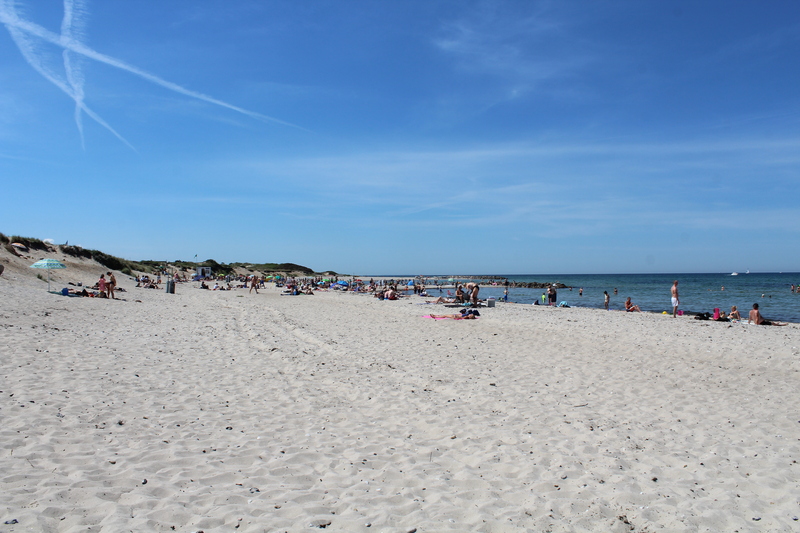 Liseleje Beach – view in direction north to Kattegat Sea. Photo 3. june 2018 by Erik K Abrahamsen. 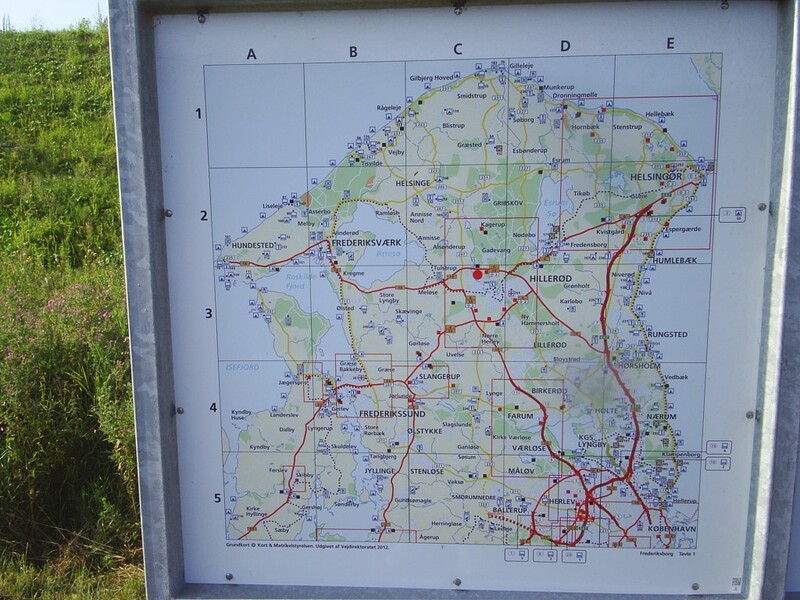 Map of North Sealand, Photo 2014 bt Erik K Abrahamsen.